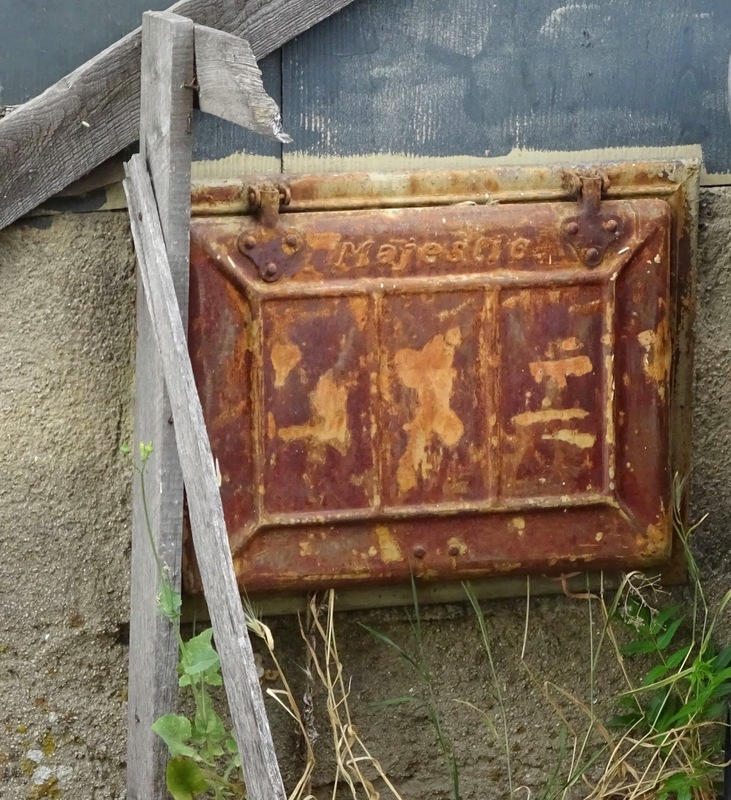 I'm always on the lookout for these relics of the days of coal-heating. 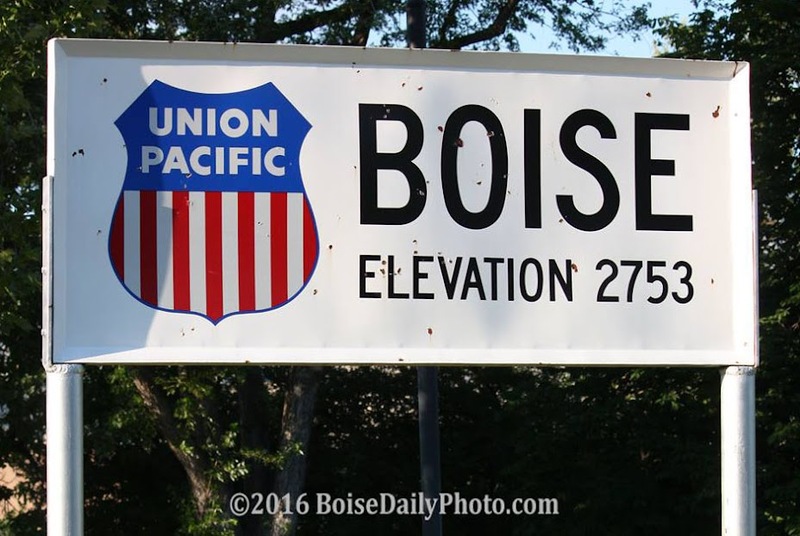 This one was found in the North End. 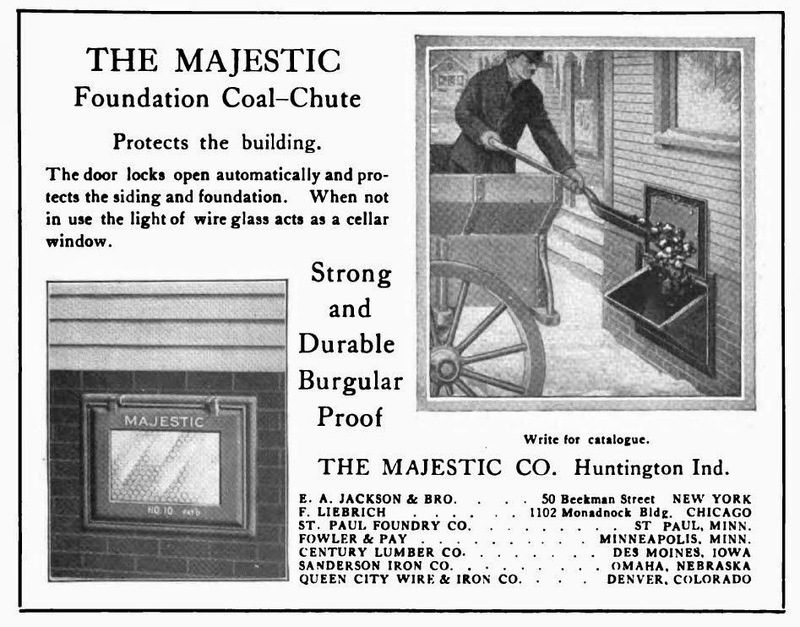 Majestic is the brand for these foundation coal chutes.